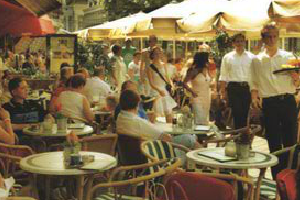 Berlin is a popular destination for both business and leisure travelers. 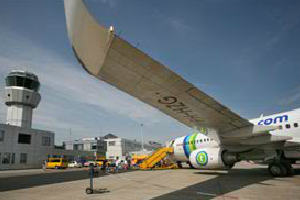 In 2006 134,000 passengers used a double-daily low-cost service. O&D mix and travel purpose indicates the route was popular among German business travelers who used it for day return trips between Aachen and Berlin. Currently unserved. Over 50,000 residents holding a Turkish passport live in the airport’s catchment, a result of labour migration. Turkey is the largest market for ethnic travel from the catchment. London is the most demanded destination in the catchment and currently not served. The O&D market from the 60 minute catchment is 385,000, of which the 30 minute catchment is responsible for 55% of the O&D. A service to Heathrow or Gatwick will generate additional traffic from passengers transferring in London to intra-UK and American destinations in particular. The potential is confirmed by previous services to Stansted which generated 35,000 passengers on an all-business service and 83,000 passengers on a daily low-cost service in the first year of operation. Maastricht Aachen Airport sits in one of the most densely populated areas of Europe offering 35.6 million residents living within two hours. Key route vacancies include London which offers a proven one hour 385,000 O&D market. With over 750,000 multi-day annual tourists, Maastricht is the #2 ranking city in the Netherlands, after Amsterdam while the 60 minute catchment has over 6.5 million multi-day tourists visits and 16 million room nights. The catchment is a major convention destination which includes the MECC Maastricht site (over 500,000 visitors) and also has 10 universities and polytechnics attended by over 100,000 students including 16,000 in Maastricht and 40,000 in Aachen. 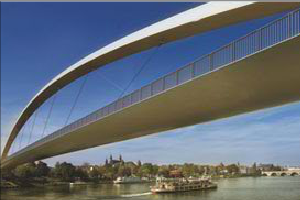 With over 750,000 multi-day annual tourists, Maastricht is the #2 ranking city in the Netherlands, after Amsterdam. The 60 minute catchment of Maastricht Aachen Airport attracts over 6.5 million multi-day tourists per year spending over 16 million nights. A wide variety in activities; from historical city centres (with excellent shopping possibilities) and buildings, spas, casinos, factory/brand outlet centres, and a wide range of attractions and seasonal events, many of which attract over a million visitors per year. Besides attractions in and around the city’s the nearby Eiffel and Ardennes forest offer a wide range of outdoor activities. Over 250,000 business are registered in the airport’s 60 minute drive time circle. 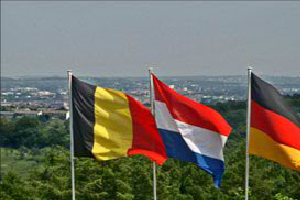 Among these are European and regional headquarters and large production plants of a.o. : DSM, Ford, Sabic, Vodafone, Mitsubishi (Nedcar), Sappi, and Procter & Gamble. Main industries are chemical, logistics, life sciences and automotive (2 assembly plants + many part manufacturers and suppliers). 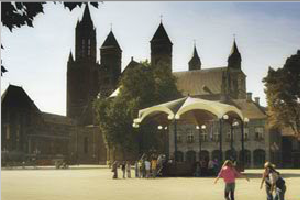 The region’s 10 largest universities and polytechnic institutes are attended by over 100,000 students; approximately 16,000 in Maastricht and 40,000 in Aachen. There are six large convention halls within 30 minutes from the airport. 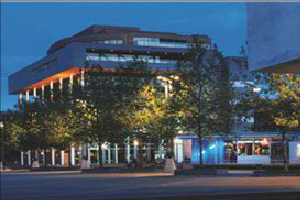 Best known is the MECC Maastricht with over 500,000 visitors. 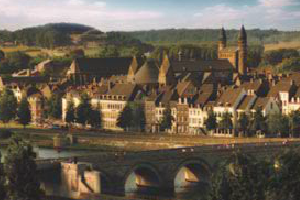 In total the city of Maastricht hosts 200 multi-day international meetings per year. 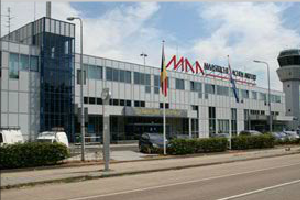 Maastricht Aachen Airport will support any new route with a tailor-made support scheme reflecting both generated traffic and expected time to needed for the route to mature. As the airport and handler act as one integrated company your number of contacts is reduced, decision making will be quick and quotes will be transparent and all-in. Before and during start-up MAA will make available dedicated marketing staff who will work in close cooperation with the airline to ensure positioning and promotion in such a way that maximum potential in all three countries of the catchment is realised. MAA will advise and assist airlines in applying for regional development funds. 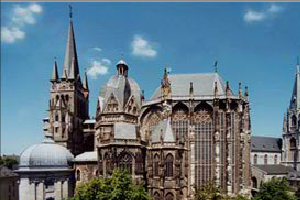 Maastricht Aachen Airport is located in the centre of Europe and due to its proximity to the German and Belgian borders the catchment comprises three countries. The airport is set roughly in the middle of Amsterdam, Brussels, Düsseldorf and Luxemburg in one of the most densely populated areas of Europe with excellent highway infrastructure to all main cities in both the smaller and larger catchment. This leads to a population of 35.6 million residents living within two hours drive time from the airport, a number which is larger than the population of Canada and offers a regional GDP exceeding the GDP of Turkey. Maastricht Handling Services can turn around a fully loaded 747F in 2 hours (full in and out) and have the first trucks on the highway half an hour after the aircraft is on blocks. Indeed MAA handles cargo for companies closer to other larger airports faster than these airports can! Maastricht Aachen Airport and fully owned subsidiary Maastricht Handling Services can welcome any type of cargo aircraft and handle any kind of freight. MHS specializes in perishables, valuables and live stock. MHS focuses on flexibility, care and speed, critical in the cargo market and perishables in particular. MHS can turn around fully loaded 747Fs in 2 hours (full in and out) and the first trucks can be on the highway half an hour after the aircraft is on blocks. It is this high speed handling that makes MAA an interesting airport to customers in its large geographical area. Consequently MAA handles cargo destined for companies that are on the doorstep of other larger airports faster than they can themselves. Moreover MAA is located roughly in the middle of LUX, AMS, BRU and DUS making it an ideal point for onward distribution to these airports, cargo consolidation and value added logistics. Facilities on the new 100 Ha. Logistical Businesspark are ready for construction as from January 2009. 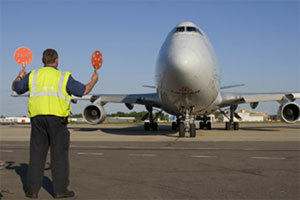 Maastricht Aachen Airport has shown double digit growth in cargo handled for eight consecutive years. Against market trends cargo growth until September 1st is more than 20% over the tonnage of the first eight months of 2007 and set to break the 100,000 tonne boundary. In fall 2009 a new 20,000m2 cargo terminal with a capacity to handle 250,000 tons per year will be operational and service levels will increase further. what scope is reviewed. The main freight terminal is located less than 500 metres from the exit & entry to the A2 highway which runs from Amsterdam to Nice. Only 3 km from the junction with the east-west A76 highway linking Brussels with Cologne/Düsseldorf (via the A2). Both these highways are two of Europe’s top freight transport routes while congestion on these roads is low. For businesses and airlines this is a combination resulting in fast access to a large market, presenting interesting business opportunities. 6.9 million people within 60 minutes drive time of the airport. Over 250.000 registered businesses are located within a 60-minute drive time. The GDP of this area is over 164 billion Euros. One day return trips per truck to cities as far as Paris are feasible. Two day return trips open a market to cities such as London, Manchester, Lyon, Milan, Munich, Berlin and Hamburg. 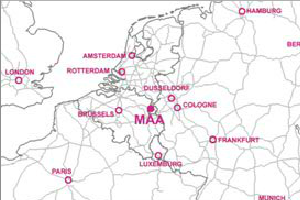 The main cities in the airport catchment are Maastricht (NL): 8 km/10 minutes drive time from centre. Other main cities are Aachen, Germany, 20 minutes drive time, Liège, Belgium, 20 minutes drive time and Hasselt, Belgium, 25 minutes drive time. Total population within 30 minutes drive time from the airport is 2.8 million. The airport is located directly on A2 Highway (Amsterdam-Nice), with its own exit and three kilometres from A2 intersection with A76 (Brussels-Düsseldorf). Public transport: frequent scheduled service to Maastricht International train station + additional airport shuttles connecting with each 100+ pax flights. 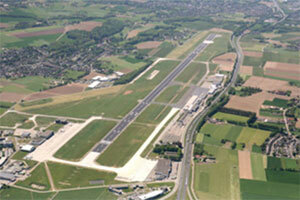 Runways: 1, 2,500 metres + 250 metres stopway, ILS CAT IIIb, Resurfaced September 2008. Runway upgrade: Resurfacing of runway and taxiways and ILS Cat IIIb installation completed summer 2008.